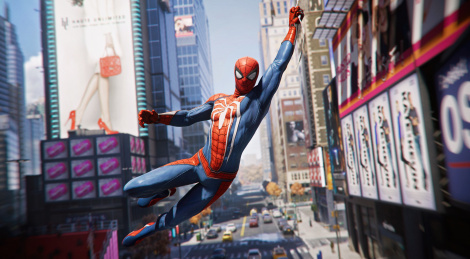 Sony and Insomniac Games revealed that Spider-Man will launch wordwide on September 7th for PlayStation. The title gets a collector's edition available and some pre-order itemsthat you can see inside along with some new screenshots. If anyone can do a good Spiderman it's Insomniac. Sunset Overdrive was a blast and I am sure this will too. Can't wait! I'm still not convinced by the little gameplay there is available to watch. Batman was good but Spidy can play like a platformer and Insomniac is better suited. Speaking of Rocksteady, what are they up to these days? Hopefully, probably on a new superhero or non-superhero ip. WB Montreal is also working on a new game. Though if what Jason Schreier from Kotaku said is true, Rocksteady is not working on a new Batman game. The one working a new Batman game is WB Montreal, which was previously developing a Suicide Squad game, which was cancelled. Then started developing a Batman game starring Damian Wayne (Bruce wayne's son with Talia Al Ghul), which was cancelled or repurposed into something else still Batman related. Hence why it has been so long without any news of what they're working on. You can watch or listen to Jason Schreier and Greg Miller talking about Rocksteady and WB Montreal on the Kinda Funny Games Daily podcast below. The link already starts at 00:43:56, when they start talking about it. I think they should give Batman a break for now and do something else. According to Wikipedia, Rocksteady is working on something... what that something is: no idea. I hope it's an original 3rd person action adventure IP. Also, I'd like to see a good developer take a stab at a Wonder Woman game! I seriously considering buying a PS4Pro for this and Kojima's project. Hope one of the variant suits is the black suit, it's such a cool look. Have you watched the new gameplay clips from the game informer cover? Especially the hands on impressions article, both combat and traversal looks amazing. That probably will be the case seeing as it's not due until 2019 at the earliest and rumours are floating around about PS5 in late 2019. I have no doubt Sony will "announce" a PS5 at E3 to try to remove some momentum from X1X, but it's gonna be late 2019 at the very least, that's around 20 months from now. I'd rather get a PS4Pro on a deal right now and sell it when the PS5 comes around... IF I do get a PS5. I have an Xbox One X and I'm super happy with it and I use it for everything multiplat + Xbox titles, but some of these Sony exclusives are starting to appeal to me. when you click on the hands on impressions page doesn't that page have a ton of gifs and and a 30 sec combat clip? I don't think those are on youtube unless some random channel used them without permission? I have 4 games on PS3 but this is by far going to be the best game. 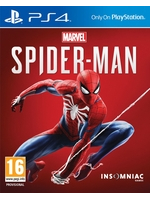 Never been so excited for a spidey game. I hope it lives up to its hype. This is a huge game for Insmoniac and probably could be their biggest game so far. Watched a big 30 minute roundtable discussion of this and it sounds so frigging good. Web swinging is finally better than Spiderman 2. Apparently way more control. Way more involved in turning, and how you use momentum. I think I'm more excited for this than god of war this year.